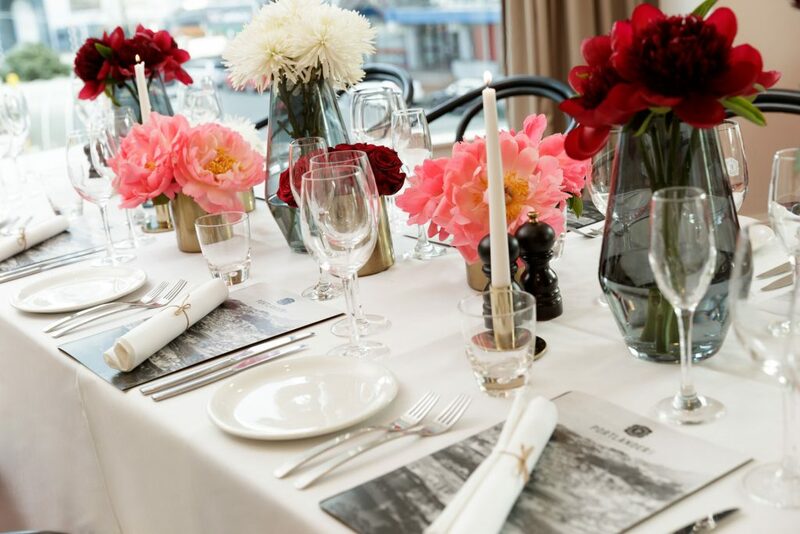 Portlander offers many options for private dining in Wellington, separating you from the bustle of our main restaurant, while presenting a stellar culinary experience for your next soiree. Choose from our restaurant spaces boasting multiple arrangements sure to fit any occasion or peruse our hotel spaces that are perfect for meetings and events. 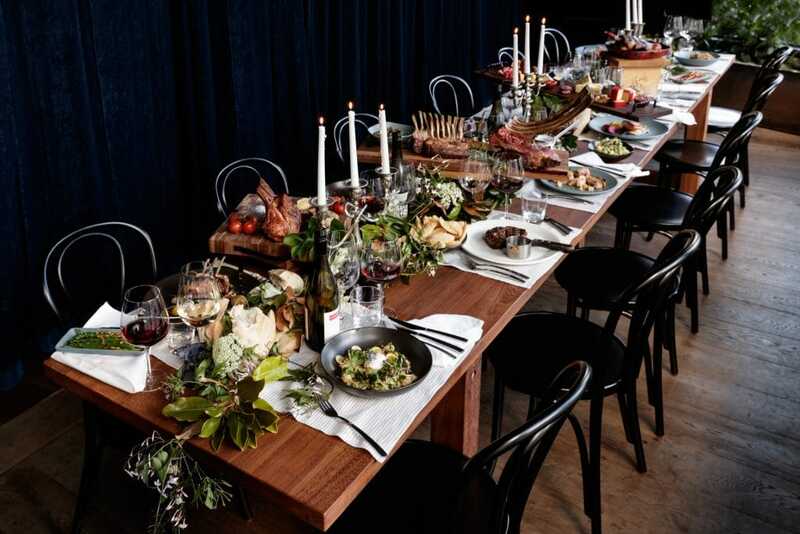 Our Hunter space is the ideal venue for your next private dining affair. Divided from the main restaurant by lush velvet curtains and fresh trestle vines to help set the scene and provide a great experience for any gathering. Hunter serves as an outstanding venue to host your next birthday, work function or cocktail reception. 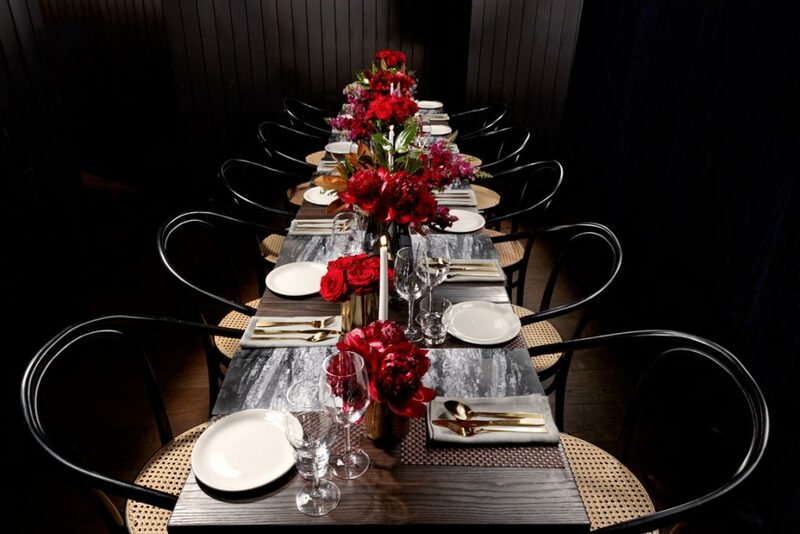 Gatherer provides a more intimate private dining experience for your next occasion. Separated from the main restaurant by plush velvet décor, this Wellington venue is perfect for hosting smaller celebrations. Book our share menu options for team lunches or celebrate any occasion with our 4 course menu, the choice is yours. For the grander occasion, our Hunter and Gatherer space has everything you need. The spacious setting joins the two individually beautiful spaces to offer hosts more options to wine and dine. Spoil in the extra space by hosting dinners for up to 28 seated or cocktail receptions with up to 40 attendees. Looking for Meeting Rooms in Wellington with a difference? Space 1 is our stunning room located on level two. Perfect for boardroom meetings and its stunning outlook on the city makes it perfect for smaller intimate dinners or breakfast presentations. Space 2 is ideal for presentations, board meetings and additional breakout space. 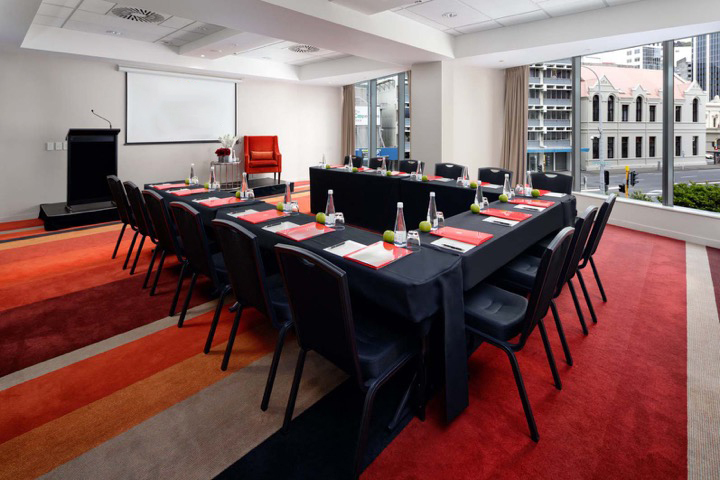 This Wellington function room features in-built data projection, ceiling mounted pull down screens and has its own dedicated conference catering area outside the room. Space 3 accommodates up to 60 delegates which makes it a perfect breakout room for your conference. It is also great for training seminars and intimate dinners for up to 30 people. With floor to ceiling windows guests will have plenty of natural light to keep them feeling fresh and energized throughout the day. 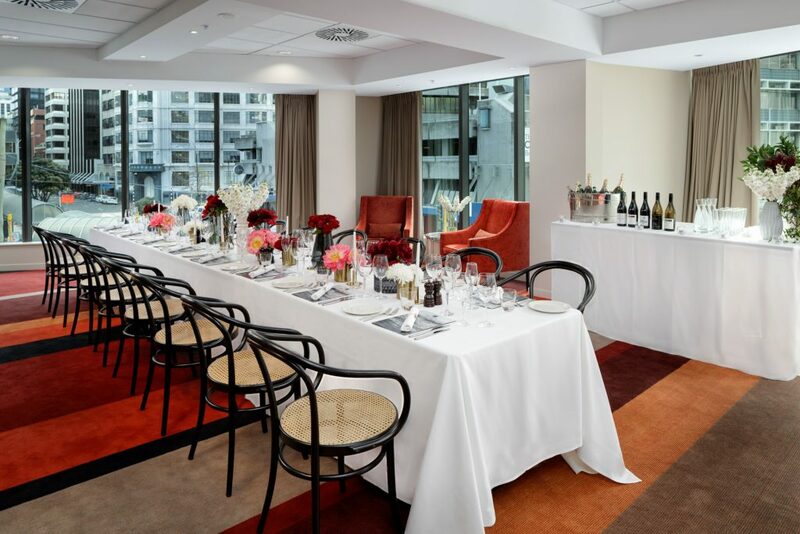 A spot for those extra special affairs, located on level 17 with views of the harbour and city surrounds, 1704 is of the highest prestige for private dining in Wellington. Indulge in crafted menus and exclusive vintages from Portlander, while being left to your own private matters.